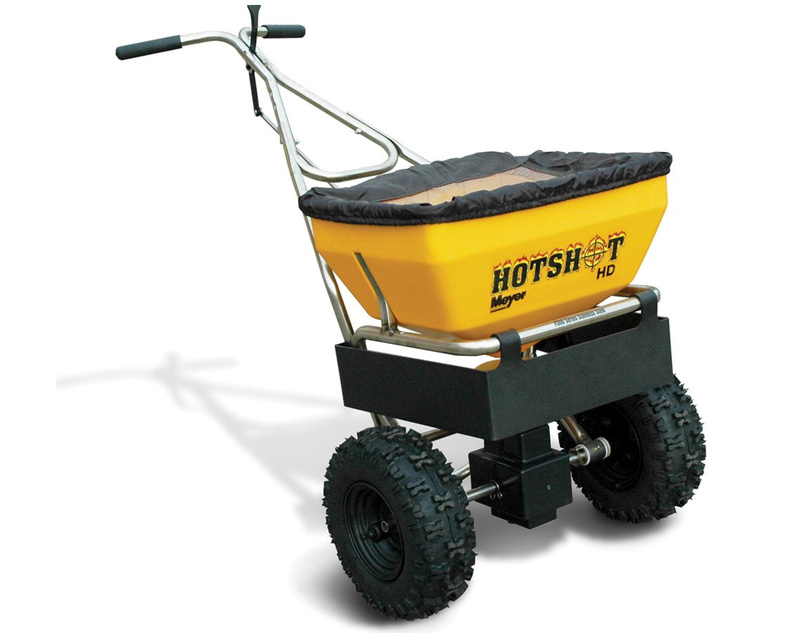 If you’ve been looking for an economical and lightweight spreader, that still achieves a professional grade job, you’ve found everything you need in the Meyer Hot Shot Walk Behind Spreader. A mere 45 lbs., this device can carry up to 120 lbs. of ice-melt or rock salt. And in the summer months, seed and fertilizer can be spread just as easily and effectively. 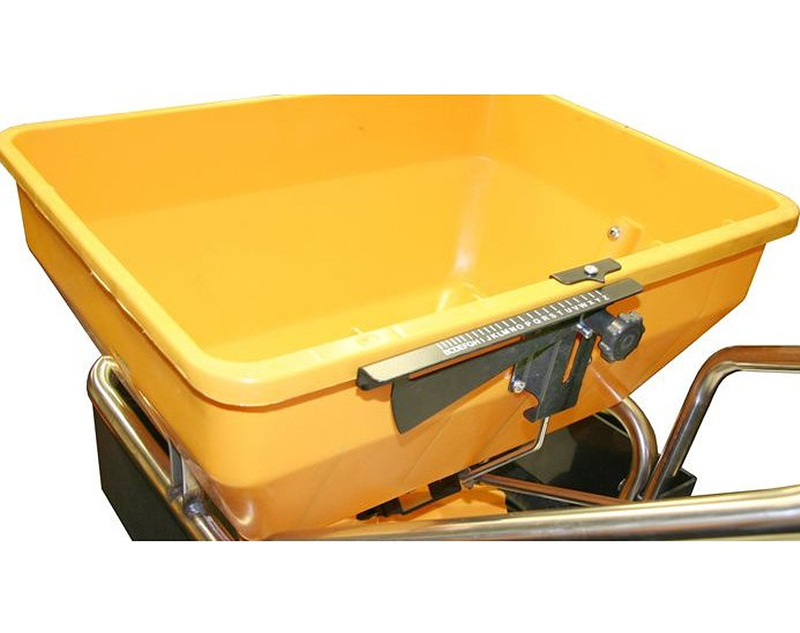 Ease and efficiency are the name of the game when it comes to the Meyer Hot Shot Walk Behind Spreader. 13" pneumatic wheels provide superior traction as well as improve stabilization, especially over uneven terrain, ice and snow. The flow gate is adjustable, meaning you can tweak the amount of material flow quickly and easily – an included memory lock allows you to hold it in place. You can change your spread width in a flash, moving from 3-4 feet wide to 8-10 thanks to a poly distribution shield that lowers and raises. The hopper is constructed in rust-proof polypropylene and includes an internal material agitator and filter screen that bring materials through the spinner in a constant, steady stream. Your gears are completely clear of damage and contamination thanks to a sealed gear case and a stainless steel impeller haft is impervious to rust or corrosion. Backed by a 1-Year Warranty. We currently do not have any FAQs for the Meyer Hot Shot Walk Behind Spreader. If you have any questions, email us at [email protected].